A boy learns the secret to locating his missing stuffed bunny in this picture book about the extraordinary power of imagination, from the team behind the phenomenally bestselling The Secret. When Henry’s beloved stuffed rabbit, Raspberry, goes missing, he enlists his whole family to help him search for the missing toy. But Raspberry can’t be found. 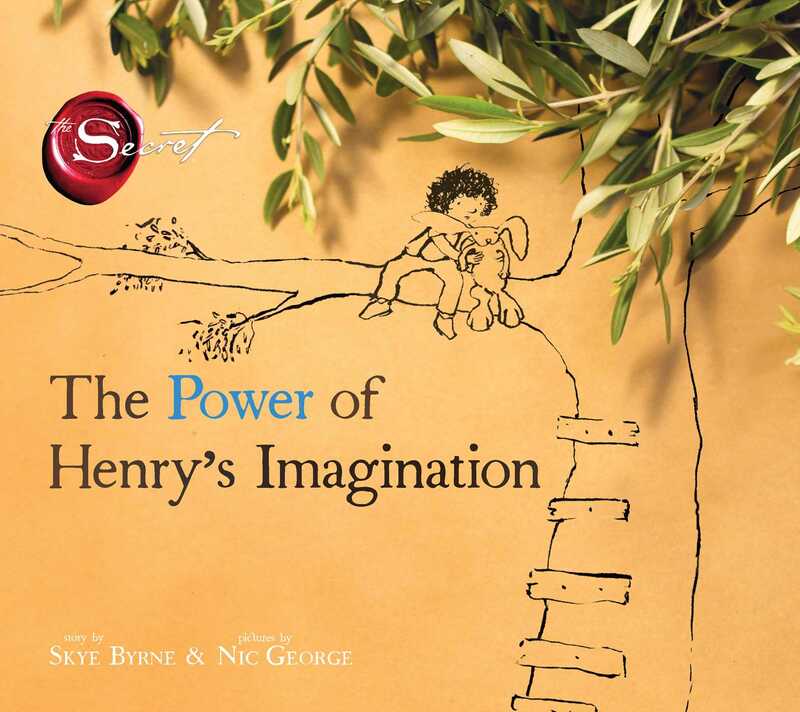 Depicting the love of a boy for his toy and the power of friendship, The Power of Henry’s Imagination is sure to become an instant classic. A boy learns the secret to locating his missing stuffed bunny in this picture book about the extraordinary power of imagination, from the team behind the phenomenally bestselling The Secret. When Henry’s beloved stuffed rabbit, Raspberry, goes missing, he enlists his whole family to help him search for the missing toy. But Raspberry can’t be found. Then Henry’s grandfather suggests that Henry use his imagination to find his rabbit. Will the power of Henry’s imagination bring Raspberry back? Or is Raspberry gone for good? Before reading the book to the class, hold it up and show the front and back covers, reading aloud the title, author and illustrator. Explain that there may be unfamiliar words in the book; while reading, pause to identify and define words that may be unfamiliar to students. 1. Do you have a special toy like Raspberry Rabbit? How long have you had it? Who gave it to you? What kinds of things do you do together? Have you ever lost it? How did that make you feel? Did you find it? How did that make you feel? 2. Does this book remind you of any other stories about lost toys or lost animals? Which ones? Why does it feel so good when the toy is found and the story has a happy ending? How would the story feel different if the lost toy were never found? 3. What does it mean to “use your imagination”? Share an example of a time when you imagined something. Can you remember when you learned what imagination was? When does your imagination come in handy? When can it cause problems? When can it scare you? 4. Grandpa tells Henry, “You must imagine that you have Raspberry back!” How does Henry do this? How does he feel when he goes to bed that night? How do you predict he’ll feel when he awakes the next morning? Do you think Grandpa will tell Henry where Raspberry was found? 5. In picture books like this one, words and pictures work together to tell a story. Name the author and illustrator of this book, and define each one’s role. Is one more important than the other? Which job would you like to have? How do the words and pictures work together to tell this story? 6. Share your feelings about the pictures in the book. Do they make you think of imaginary things? Why did the illustrator decide to use softer colors instead of bright ones? Why did he use drawings, but also add some real objects to the pages? Do you like these pictures? How are the pictures of Henry and Raspberry’s adventures different from those in the rest of the book? 7. After Henry searches his bedroom and doesn’t find Raspberry, he begins to feel worried. Have you ever been worried about something? Describe what you were worried about. When you were worried, did you feel like talking, or did you want to be quiet? How did you stop worrying? 8. Henry thinks, “Grandpa knew more than anyone else who had ever lived.” Describe Henry’s relationship with Grandpa. Do you have a wise grandparent or other family member? Have they ever shared special advice with you, like Grandpa does with Henry in this book? Do you always follow their guidance? 9. Of the adventures Henry imagined for himself and Raspberry, which is your favorite? Can you imagine some other adventures for them? 10. What is different about being friends with a toy or having an imaginary friend, from being friends with another person? Is one better than the other? Can you share things with your toys that you wouldn’t share with a sibling or friend? Why? 11. Henry climbs into his favorite tree to begin imagining his adventures with Raspberry. Do you have a favorite place to daydream? Where? Is it a quiet place? 12. Why do you think Grandpa’s words (“Imagine that”) are repeated after the story is over? Imagine something that makes you happy, sad or scared. Write a description of it that uses all five senses. Imagine a new adventure for Henry and Raspberry, and write a story about it. Choose an imaginary character and come to a classroom party dressed as the character. Take turns talking about your character to the class, asking and answering questions, and guessing whom the characters are. Imagine a new adventure for Henry and Raspberry, and draw a few pages depicting that adventure, using your own natural style. Draw a picture of a special place you like to go to or visit. Interview someone in your family, and ask them to share some words of wisdom with you. Read your interview aloud to the class. Guide written by Bobbie Combs, a consultant at We Love Children’s Books. Skye Byrne was born in Australia and studied Professional Writing before she joined The Secret. She currently works on the development of books and screenplays in The Secret’s California office. Nic George was born in Australia and has a background in Fine Arts and Design. He works from The Secret’s California office on all publishing and film projects.